Ukraine's government opened a new round of talks with the International Monetary Fund on Wednesday on a $15 billion loan to help it service foreign debt repayments set to peak at about $9 billion this year. The second visit since January by a mission from the IMF, which has been pressing Ukraine to pursue unpopular policies at home, takes place as Kiev has been able to tap more receptive international debt markets to meet some of its finance needs. Ukraine has to date signed seven loan deals with the Fund, and money owed to the IMF itself accounts for about two-thirds of the sum due for repayment this year. But the last loan deal, also for $15 billion, was suspended in early 2011 part-way through when President Viktor Yanukovich's government refused to make Ukrainian households pay more of the real cost of the gas it buys from Russia. The Fund has urged the former Soviet republic to cut gas and heating subsidies for households in order to curb a ballooning budget deficit. But Yanukovich in February again pledged not to raise gas prices, casting doubt on the prospects of a new IMF deal. The IMF office in Kiev said on Wednesday that a Fund mission had arrived and begun its work on a new stand-by arrangement. It is scheduled to stay in Ukraine until April 10. "We have a big interest in getting this money. We also have an interest in refinancing the credit which we received previously from the IMF," Economy Minister Ihor Prasolov told reporters on Wednesday. "We have grounds - and our own calculations - for hoping that this stand-by programme will be issued," he said. Ukraine's budget deficit doubled last year to $6.7 billion or 3.8 percent of gross domestic product as the government increased welfare payouts and other spending in the run-up to an October parliamentary election. The Fund also says the Ukrainian hryvnia, pegged at about 8 per dollar since early 2010, is overvalued and it wants Kiev to allow greater exchange rate flexibility. Accepting the Fund's painful lending conditions could have long-term political implications for Yanukovich's leadership. Domestic gas and heating prices are the main potential stumbling block. Ukraine buys natural gas from Russia and then resells it to households and heating companies at a discount, with the state budget absorbing billions of dollars in losses every year. Abolishing the subsidies, as suggested by the IMF, would be a politically risky move for Kiev and personally for Yanukovich who plans to run for a second five-year term in 2015. Instead, for the last two years, his government has been trying to negotiate a discount on the above-market price of Russian gas supplies while cutting gas imports. But talks with Moscow have produced no results. 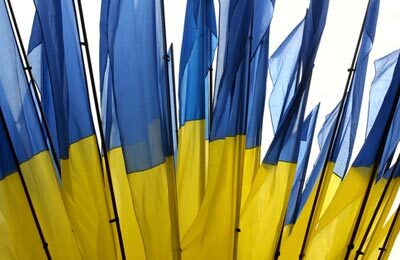 Analysts said however that conditions on international money markets had considerably relaxed pressure for the moment on Ukraine as it resumed talks with the Fund. At the beginning of February, Ukraine sold a $1 billion tranche of a 10-year Eurobond with a yield of 7.625 percent and some analysts expect the same scenario to be repeated in the second quarter. "I think in the near future the Ukrainian government will be able to tap the market with a new Eurobond issue to the amount of $1-2 billion," Elena Belan, chief economist of brokerage Dragon Capital, said.